John Volken Academy students with hand-made Christmas stockings. 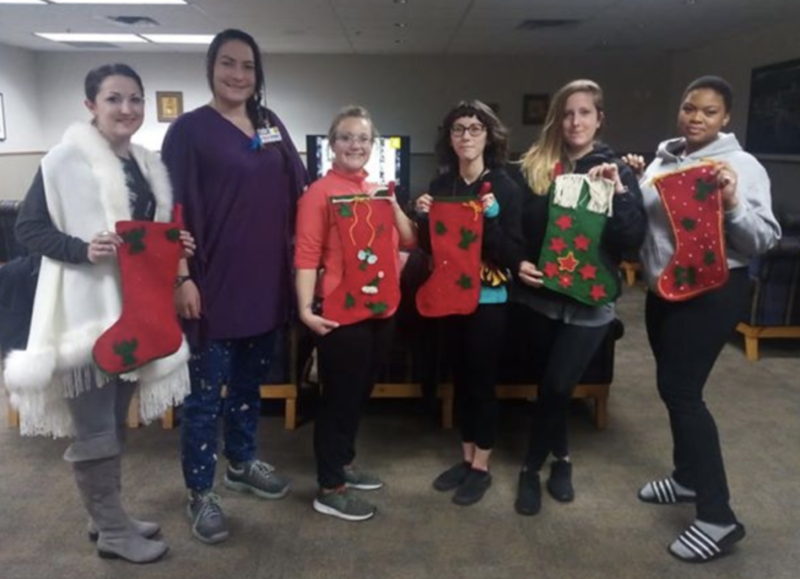 The idea for the Christmas stockings came from Rose Hamilton, Director of Community Partnerships & Donor Stewardship for SOS Children’s Village, British Columbia. “The unique Village model is based on SOS Children’s Villages founder Hermann Gmeiner’s belief that a loving caregiver with trauma training, a family-like atmosphere that keeps siblings together, a consistent home with subsidized rent, and a community of professional support staff create a circle of healing, hope, and belonging for children in need. Our wraparound services provide counselling, art therapy, neurofeedback training, and more to allow youth – many of whom have mental health conditions – to recover from their traumatic past. 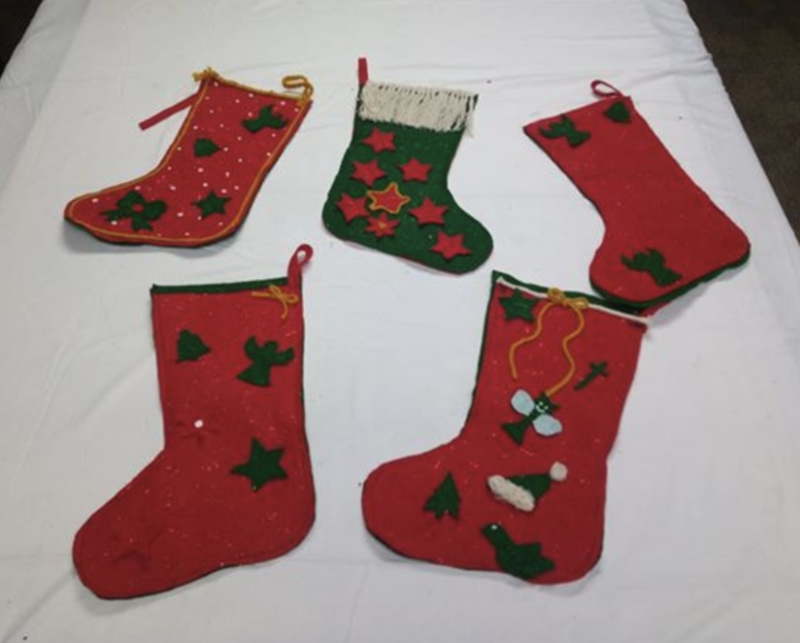 The John Volken Academy students and I had fun cutting, sewing and glueing felt, creating Christmas stockings for youth connected to SOS Children’s Village. for your dedication to helping foster children in BC.